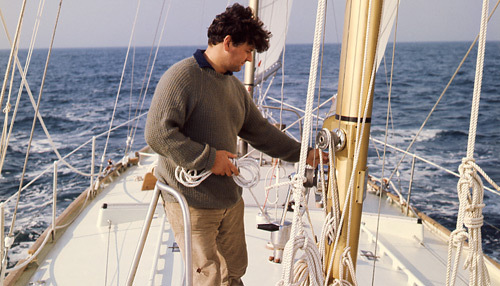 Chay Blyth entered the first Whitbread Round the World Race in 1973 on the 77 foot ketch rigged Great Britain II. His crew, whom he trained for the race were all, like himself, from The Parachute Regiment. 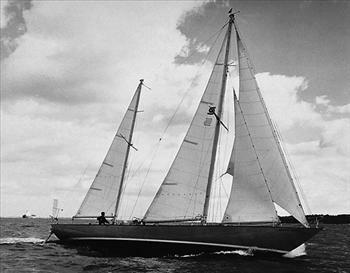 Great Britain II was sponsored by the British philanthropist “Union Jack” Hayward. Around 1,000 spectator boats in The Solent looked on as seven nations were represented by the seventeen yachts of different shapes and sizes that crossed the start line in September 1973. The race was over four legs via Cape Town. Sydney, Rio de Janeiro and back to Portsmouth. Only a few days out Great Britain II was hit by a severe storm. Bernie Hoskins was swept overboard but after a frantic search was found and recovered. It was a foretaste of what was to come over the next 27,000 miles. Having had their water tanks split the crew had to desalinate water to continue in the race, the alternative was to put into a port. Great Britain II came third into Cape Town having been beaten by Burton Cutter and Adventure. Adventure was the Royal Navy’s entry, a 55ft Nicholson yacht. Moral on board Great Britain II was quite low having been beaten by a 55ft yacht. Within hours of leaving Sydney yachts were reporting damage. Tragically early in this leg Bernie Hoskins was lost overboard from Great Britain II. This time in spite of a prolonged search neither he nor the dan bouy thrown over as part of the man overboard procedure were seen again. The fact that all the crew of Great Britain II had seen active service made the loss no less easy but their response was to sail hard and fast to Rio, taking line honours. Having survived the horrors of the Southern Ocean including icebergs and severe gales the fleet sailed around the most notorious land mark of all to reach Rio. Prior to the first running of the Whitbread less than 10 yachts had previously sailed around Cape Horn. Leg 4 was to bring the fleet back to Portsmouth and first over the line was Great Britain II. They had won two of the four legs and set an elapsed time record of 144 days for sailing around the world. 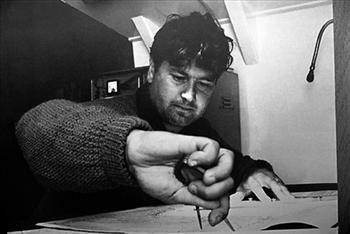 Chay Blyth wrote an account of the Whitbread and dedicated the book “Theirs is the Glory” to crew the of Great Britain II.